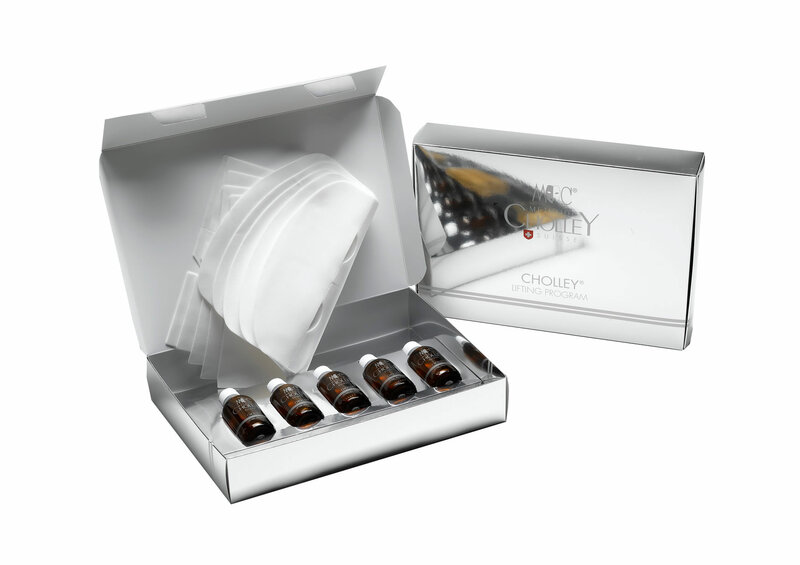 CHOLLEY Lifting Program is a high-performance firming and anti-aging treatment, especially developed to restore the strength and resilience of the collagen biomatrix. It employs the CHOLLEY Lifting Collagen Mask, an easy-to-use peel-off mask, that does not require any subsequent cleaning. It is made up of structurally intact, highly effective, pure native collagen. Ideal for anti-aging treatments of mature skin, the CHOLLEY Lifting Program delivers astounding results, by visibly reducing lines and wrinkles, and saturating the skin with moisture, for a longer-lasting lifting/firming effect.